Extract: Fascinated and inspired by the way metal chain armor retains its shape and form, architect and professor Ken Yokogawa began investigating the architectural properties of the phenomenon. 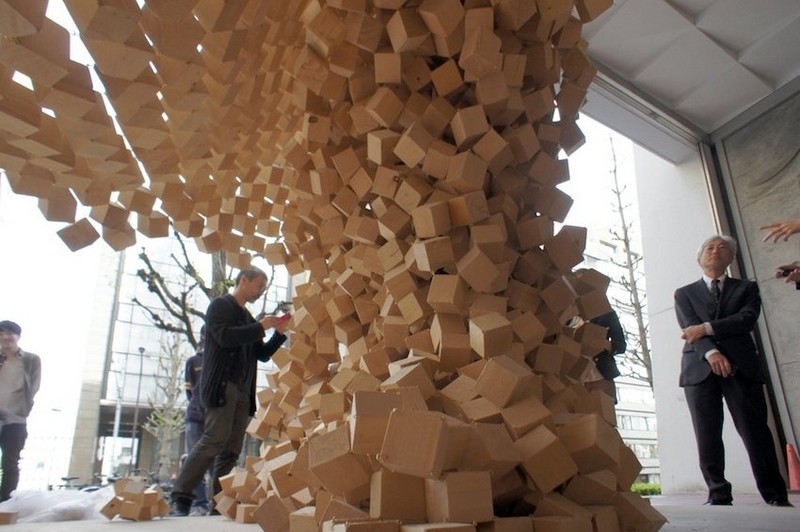 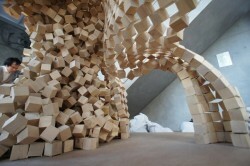 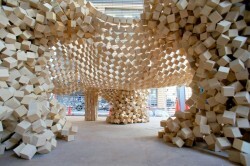 Two years, 7000 wooden cubes and 36,000 screw-in hooks later, his structure, which he calls an inverted question-cube, is complete, thanks to the help of fellow professor Jun Sato and students from their Nihon University of Science and Technology. 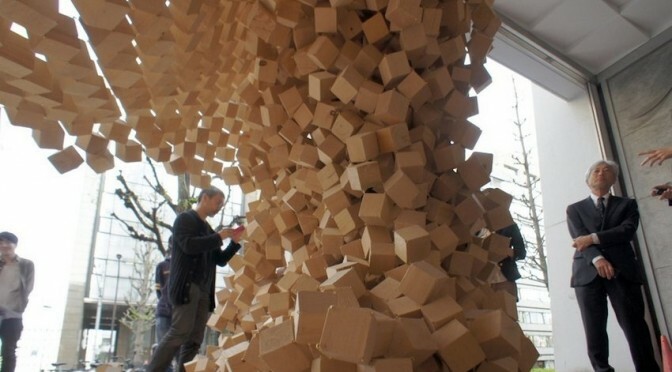 The 60 mm (about 2.3”) cubes are linked together by tiny screw-in hooks on each corner, but otherwise the structure is completely free-standing. 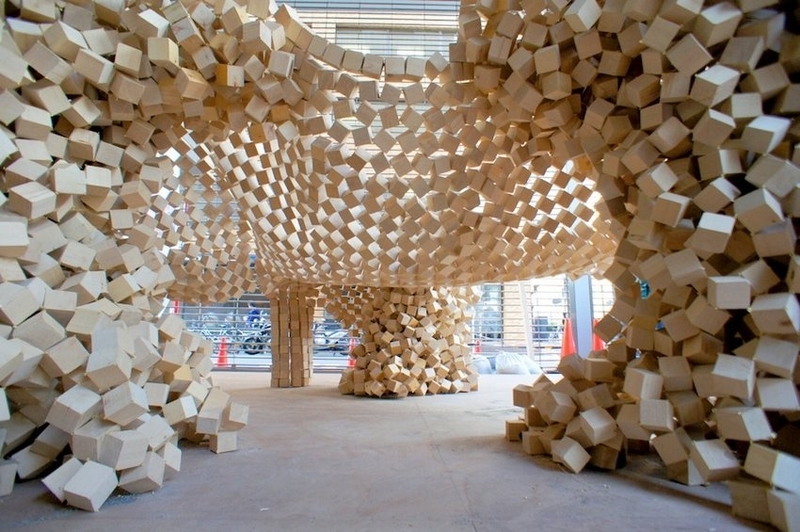 It’s a balancing act that, although required numerous attempts of trial-and-error, resulted in an organic structure that’s as beautiful as it is precarious. It’s on display through May 14, 2013 at the Nihon University of Science and Technology Surugadai Campus in Tokyo.